Huntsville, Ala. — The story of a groundbreaking genomic medicine case led by HudsonAlpha researchers is now available. “One in a Billion: The Story of Nic Volker and the Dawn of Genomic Medicine” (Simon & Schuster, April 2016), follows the diagnostic odyssey of Nic Volker, the first person to be saved by whole genome sequencing. 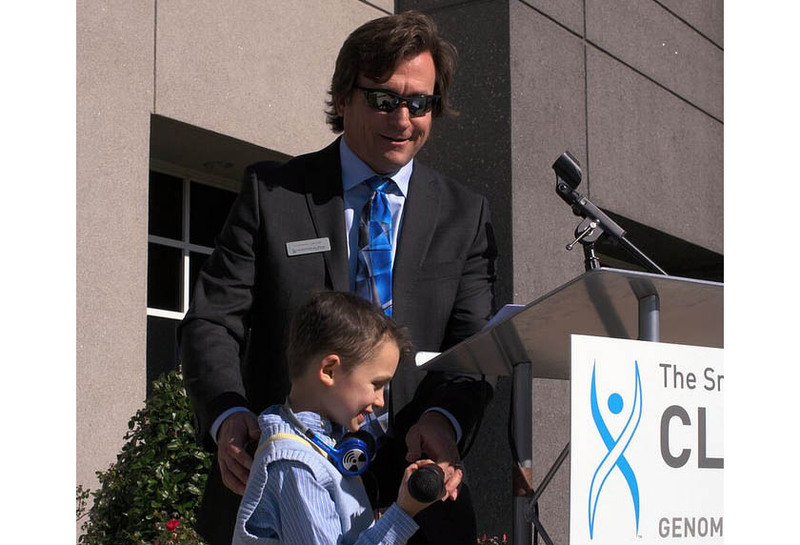 Jacob sought out the help of fellow researchers David Bick, MD; Jozef Lazar, MD, PhD; and Liz Worthey, PhD; who also joined HudsonAlpha in 2015. The team had to get the sequencing approved, perform the sequencing, and then a software program had to be created to analyze variants to help the team identify what was making Volker sick. The team identified the variant and diagnosed Volker with XIAP deficiency, a rare primary immunodeficiency. It was treatable. The story was first chronicled by the authors of the new book, Kathleen Gallagher and Mark Johnson, in a three-part newspaper series, which earned them a Pulitzer Prize in 2011. The book also includes personal accounts from Amylynne Volker, Nic’s mother, about the ongoing struggle to find a diagnosis for her child. “One in a Billion” is now available from Amazon, Barnes & Noble, Books-A-Million, IndieBound and will be in select regional bookstores soon.